Taina Asili @ Earthdance / Ithaca Tea Garden, 133 Jersey Hill Rd. Nippertown’s premier world music warriors Taina Asili Y La Banda Rebelde charged into the Sanctuary For Independent Media last Saturday to celebrate the release of their debut album, “War Cry,” and it was a full-blown, packed-to-the-max party, to be sure. Actually, it was a double-barreled party – not only a CD release party, but also Asili’s birthday bash. The explosive six-piece outfit fronted by dynamic vocalist Asili brilliantly fused together a plethora of international musical styles – ranging from Afro-Caribbean beats, Jamaican reggae, American rock, Brazilian samba, Spanish flamenco and urban hip-hop – into a performance that simply defied categorization. Wrapped around the stage and spilling out into the street, the full-house audience danced wildly, rocking with every beat the band conjured up. Highlights of the evening included an aerial trapeze artist and samba band – complete with two additional drummers and a drop-dead gorgeous South American dancer gyrating to the break-neck rhythms. Off to the side throughout the evening, artist Marcus Anderson was busy painting a huge canvas that he started during DJ Trumastr’s opening set and completed at the end of La Banda Rebelde’s performance. If you missed this exquisite spectacle, well, fortunately the super-fine folks at the Sanctuary for Independent Media recorded the audio and video of the performance for a future DVD release. Born and raised in Binghamton, Taina Asili grew up in a Puerto Rican family, has lived in Philadelphia and now resides in Albany. Asili has been making music for years and is about to release an album with her new group, La Banda Rebelde, on March 27 at the Sanctuary for Independent Media. Q: Why did you choose Troy for your CD release party? A: I chose Troy because I feel very connected to the work of the Sanctuary for Independent Media. I wanted to have my release party in the Capital Region at a place that I felt truly represents the work that I do using art as a vehicle for social change and community connection. I could not have found a more perfect venue. Q: Your music carries messages of social change. Why is that important to you? A: Growing up a woman and growing up Latina in this country, I’ve been exposed to oppression, and I come from a lineage of people that resisted oppression. That’s a torch I carry on through my art. All of us in the band are activists and community organizers working for change. I’m involved in a lot of different movements, like prisoner justice, environmentalism and indigenous rights, and I bring all those different things into my art. Q: When did you become interested in music/singing? A: My family’s history in music and art and my training laid the foundation for my musical career. Both my parents were artists, my mother a dancer and my father a conga drummer and singer. I started singing doo-wop with my father and sister, and was trained by a professional opera singer in classical voice. I was also simultaneously in a punk band. Q: Poetry is another one of your passions. What inspires you to write? A: The power of language to transform ourselves and this world is really intriguing to me. I recently got my master’s in transformative language arts from Goddard University, where I looked at Puerto Rican history and how people have used language and poetry to transform the world. My poetry is inspired by everything going on in the world, and my family and my son also inspire what I write. I take my family history and bring it alive through my work. Q: You’re about to embark on a tour. 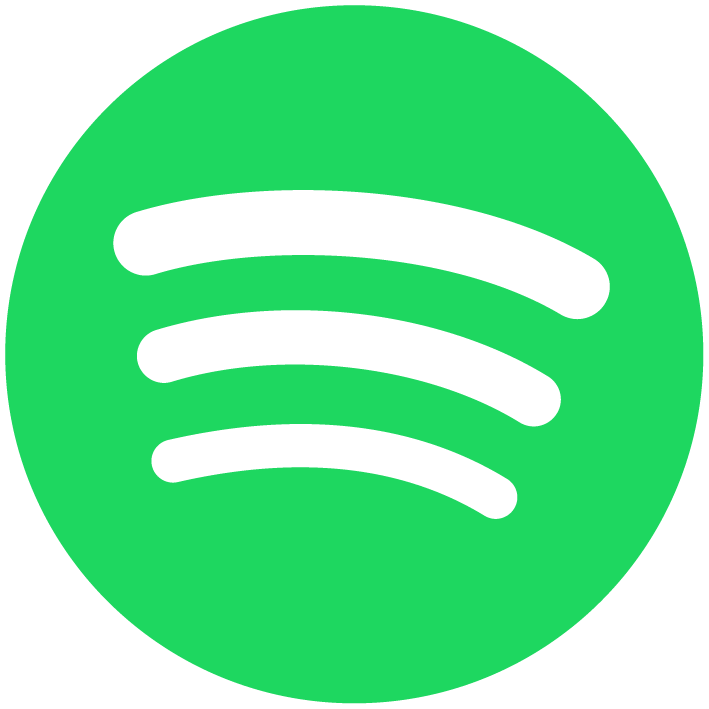 What’s your favorite thing to do with downtime on the road? taina asili, cincy grooveTaina Asili carries on the tradition of her ancestors, fusing present and past struggles into one poetic song-voice. She is a puertorriquena vocalist, poet, visual artist, educator, activist and mother from Philadelphia, PA and Albany, NY. 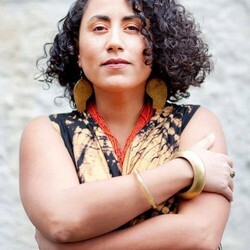 Her newest artistic work is with her live band, Taina Asili y La Banda Rebelde, soulful vocals laid over a unique infusion of hip hop, rock, neo-soul, flamenco and Afro-Caribbean sounds. Taina Asili carries a fire breathing voice of rage and resistance to venues, festivals, conferences and political events across the country. She weaves resistance, anti-colonialist struggle, love, identity, reclamation of the body, ancestral remembrance, and more into an unparalleled vocalization style melding poetry and song. Cincy Groove: What have been some of the bands highlights over the past year? Taina Asili: Well, we just came back from a U.S. tour. We started here in Albany, NY, then did some shows in the south and went across the country and into California. It was exciting because it was our first cross country tour with this group. Cincy Groove: I was able to catch your set at this past years Mid Point Music Festival here in Cincinnati. Did you have a good time at the festival? Taina Asili: We did have a great time. One of the things we enjoyed the most was when we played out on the street corner before we came in to do our set. A number of neighborhood folks came up to watch us perform. We'll do that from time to time before we play our regular gigs. We even had a chorus of children playing with us. We gave them acoustic instruments to play and they really had a blast. Cincy Groove: I know you have quite a few interests outside of music, what are some of them? Taina Asili: I just finished my Masters degree in Transformative Language Arts. That's basically studying how the spoken, written word can be used for personal and social change. What I did was look at the history of Puerto Rico in relationship to poetry. I write poetry and I also teach poetry workshops that look at how poetry can be used for personal and social change. For example, I work with refugees from Burma, Afghanistan and Colombia here in Albany, NY teaching poetry and photography. After they create their work we have this big presentation so they can share their work with their community. Cincy Groove: I understand that Miriam Makeba was a big influence on you. Taina Asili: Yes she was, we were in Olympia, WA when she past away late last year. I started listening to her right when I got out of college. I moved to Philadelphia and went to this small record shop and found one of her albums and fell in love with her music. After I found out more about who she was , how she worked to fight against apartheid in South Africa, how she lived in exile because of her work, it really inspired me. Miriam was just someone who was phenomenal on so many levels. Instead of being depressed about her passing, I really tried to celebrate her life. Cincy Groove: Are you working on any recording projects? Taina Asili: We are currently working on our debut album. I have been performing with a number of groups over the years, but this will be La Banda Rebelde's first full length album. We do have a demo out right now. Our album is going to be called Mama Guerrilla and should be out sometime this year, hopefully by the summer. Cincy Groove: What kind if music did you listen to growing up? Taina Asili: I grew up in Binghamton, NY and my parents are of Puerto Rican descent who grew up in NY. I really listened to a wide variety of music. 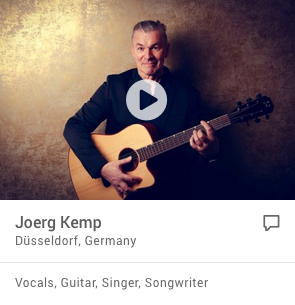 My father is a Latin Jazz musician. He also grew up singing doo wop on street corners in NY and played at The Apollo. He had this doo wop group when he was younger called The Orientals. He grew up in Harlem, so it was very common to have African Americans and Puerto Ricans singing doo wop on the corners. So I listened to a lot of doo wop, oldies, jazz, salsa, a lot of music from the Caribbeans. As I got older I really got into rock music, being inspired by punk rock. taina asili, cincy grooveCincy Groove: I see that you have had a diverse musical history. Taina Asili: At the age of 14 I was being trained by a Peruvians opera singer and did that until about the age of 22. When I was 16 I joined this punk band called Anti-Product. It lasted 8 years and became a pretty well known group. We put out 4 albums that were distributed world wide. So at the same time I'm singing punk rock I'm also singing opera music (laughing). After Anti-Product I joined a band called Ricanstruction . They were sort of a Puerto Rican punk band who were pretty popular for a while. It was a mix of punk, salsa, and reggae. Then came my current group La Banda Rebelde. I'm trying to mix all the influences from throughout my life into something original that's my own. Cincy Groove: I see that your current band members in La Banda Rebelde are from all over the world. How did you end up meeting them? Taina Asili: Pure luck, praying, and a lot of hoping. My guitarist, Gaetano Vaccaro, (whose family is from Sicily) we met and started dating and then started playing music together. Khadija who sings back up vocals with us is from Tanzania. She was my roommate in Philadelphia. Kiki our drummer was born and raised in Greece. I put up a sign one day for a drummer. She saw the sign and gave us a call. 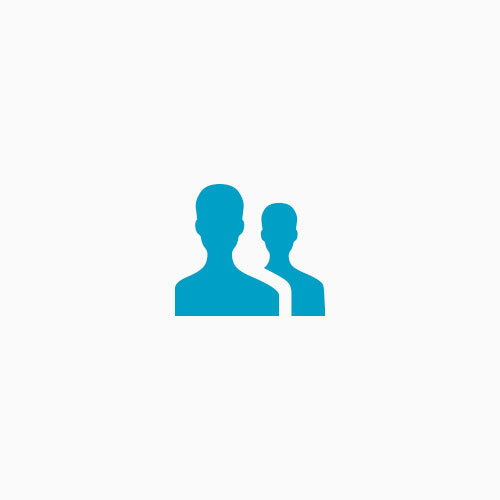 I looked at her myspace page and knew right away she was the one. Our bass player Shawn is of Brazilian origin, was born in Australia, spent part of his life in India and England, and then for some random reason moved to Albany, NY. Cincy Groove: Are there any big plans coming up this year? Marc-André Lavoie et son équipe de collaborateurs tiennent la barre de l'émission radiophonique Les contes à rendre chaque semaine sur les ondes de CHOQ FM, la station de l'Université du Québec à Montréal (UQAM). Cette radio est diffusée en ligne seulement http://web.choq.fm/radio.php. Élizabeth Robert parlera de création, improvisation et performance avec Taina Asili, chanteuse, auteure-compositeure-interprète et improvisatrice, originaire de Albany, NYC et Philadelphia. Il s'agit de la première visite en sol québécois pour cette star du SPOKEN WORD et Flamenco, l'entrevue est une EXCLUSIVITÉ CHOQ.FM; Roger Marchand s'entretient avec WesLi du WesLi Band, et on parle rapidement avec Jahnice dans le cadre de la 4e édition du Fanmi se Fanmi qui approche; Yvon Jean en poésie; J.P. Mortier et sa chronique "La poésie dans le Rock" et David J. Cox en visite rapide. Une superbe improvision entre Taina, la Banda Rebelde et WesLi. In an era when irony is often synonymous with artistry and success is determined by how long bands remain favorable in the blogosphere, it can be a risky move for a musician to espouse the belief that “music can change the world.” But for Taína Asili, leader of la Banda Rebelde (or, the Rebel Band), she doesn’t hesitate. Asili herself is Puerto Rican and grew up in Binghamton speaking both English and Spanish. The daughter of musicians, she grew up with jazz and Latin American music and Broadway musicals as early influences, but she first studied voice in the European classical tradition with an opera singer from Peru. Needless to say, it was a big jump when she started her performing career with punk band Antiproduct. Based in Philadelphia, the group recorded four albums, toured nationally a number of times, and through a European label found a following in Malaysia, Japan and Australia. Not only was it the beginning of Asili’s musical career, but it also launched an interest in politics and the transformative power of language. Winning the Transformation Award, she says, was life-changing and put her on track to building what would become la Banda Rebelde. She moved to Albany in 2006 and started singing backing vocals for her brother Victorio Reyes Asili’s hip-hop rock band Broadcast Live. It was with that band that she met guitarist Gaetano Vaccaro, who would become her husband. She first found drummer Kiki Vassilakis, who was born and raised in Greece, is queer, and does activist work in the LGBTQ community. 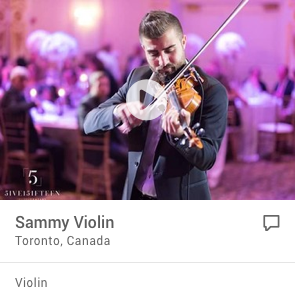 Versed in a number of musical styles, she also plays in a traditional Greek band. Next, it was bassist Sean Muniz, who is Brazilian but was born in Australia and raised in India. He comes from a background in rock, metal and reggae, and works in the antiwar movement. Rounding out the rhythm section is Saeed Abbas, a percussionist of the Hausa tribe, who has performed as the master drummer for Ghana’s National Dance Ensemble. Lastly, Alicia Ortiz, of Spanish descent and with a foundation in gospel, sings the bilingual backup vocals. While War Cry probably would earn the “world music” label in a record store or on iTunes, the range of styles is startling. “Mama Guerrilla,” a track where Asili describes herself as an “urban Zapatista,” owes to antagonistic political rock in the style of Rage Against the Machine. 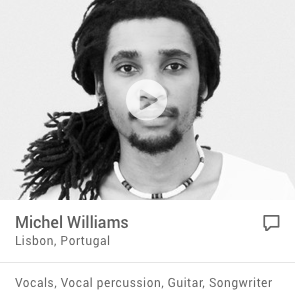 The title track features a Malian guitar part, a sunny Afropop lilt, and lyrics in five languages, while “Mariposa del Fuego” is a very traditional sounding flamenco, a style Asili and Vaccaro have been studying with local guitarist Maria Zemantauski—and traveled to Spain last year to pursue. “As a Puerto Rican woman,” Asili says, “half of my ancestry is in Spain, but it’s something I never really took a look at.” What she found in the folk music of the Gitano people resonated with other struggle-based Afro-Caribbean art forms. Indeed, anticolonialism, environmental justice and political-prisoner justice form the bedrock of Asili’s lyrics. In Philadelphia she worked closely on the case of Mumia Abu Jamal, and she currently works with the Albany Political Prisoner Support Committee. “Prison Break” might be the clearest representation of this work: The lyrics come from an experience Asili had exchanging letters with prisoners, realizing through the advice that they were giving her that, in certain ways, she lived a more captive mental and spiritual life than they did physically. In this way, the band’s message of revolution can be taken as much in a psycho-spiritual sense as in concrete political terms. Alexander Biller is a music journalist, writer and activist living in Chicago. Regular contributor to Znet, Dissident Voice and SleptOn.com. Appears in the recently published "At Issue: Should Music Lyrics Be Censored For Violence and Exploitation," from Greenhaven Press. Check out his blog Rebel Frequencies. “Taina Aisili, a spoken-word artist who has performed around the country with musicians, dance troupes and even puppets, is adamant about setting the record straight: Hip-hop would not have emerged out of 1970s South Bronx without the presence of the predominantly Puerto Rican community. "This wasn't something that we just incorporated in our culture," said Aisili, who will perform poetry during the event. "It was something that we created. We were there at the beginning." For example, one of the first well-known break dancers of the early '80s, Richie Colon, known on the street as Crazy Legs, was Puerto Rican. 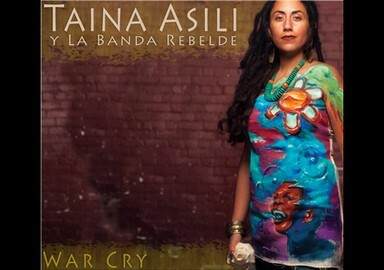 War Cry features the unique fusion of Afro-Latin, reggae, rock, and hip hop sounds and call to love and rebellion that make up the music of Taina Asili y La Banda Rebelde. This debut album features 15 tracks of original music that take you on a journey through their diverse musical, cultural and political landscape with inspiring poetic lyrics and high-energy. It also features several incredible guest artists including Naima Penniman and Alixa Garcia of international renowned spoken word duo Climbing PoeTree, soul vocalist Ayana D, NYC based Brazilian samba percussionists Jessica Sarles and Matt Dinsick, Indian tabla percussionist Sadasat Simran Singh Khalsa, jazz cellist Monica Roach, and album artwork by Montreal painter Monk.e. Puerto Rican vocalist Taína Asili carries on the tradition of her ancestors, fusing past and present struggles into one soulful and defiant voice. 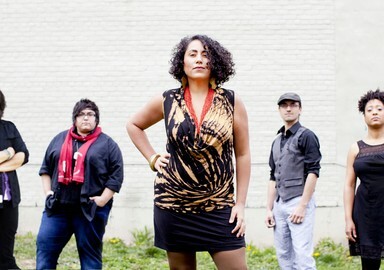 Her newest artistic work is with la Banda Rebelde (the Rebel Band), a six piece ensemble based in Albany, NY. This dynamic force brings love, resistance, and ancestral remembrance to venues, festivals, conferences and political events across the globe. Powerful vocals laid over an energetic fusion of Afro-Latin, reggae, and rock, the band’s eclectic style offers a sound that spans continents, with heartfelt lyrics sung in multiple languages. Taína Asili’s voice exudes strength of Spirit, filling its listeners with the fervor of freedom and inspiring audiences to dance to the movement of rebellion. Their new album "Fruit of Hope" is set to be released this summer 2014.